This week's showcase features three homes all priced around $1,000,000. 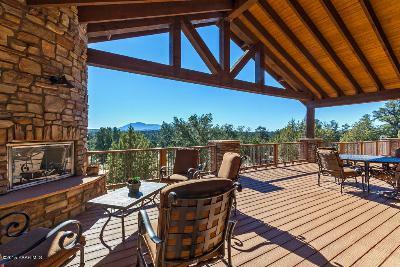 Spectacular views of Granite Mountain & Golf Club from this gorgeous custom home on 1.73 acres (double lot, can be split) in Talking Rock. This home is an entertainers dream... inside and out! Large, Bright Greatroom opens to a dream kitchen w/ large island, granite countertops, SS Viking appliances, built-in buffet with two wine coolers. Gorgeous use of stone, wood, bronze inlay throughout. Outside, a grand deck offers a built-in BBQ & outdoor fireplace.